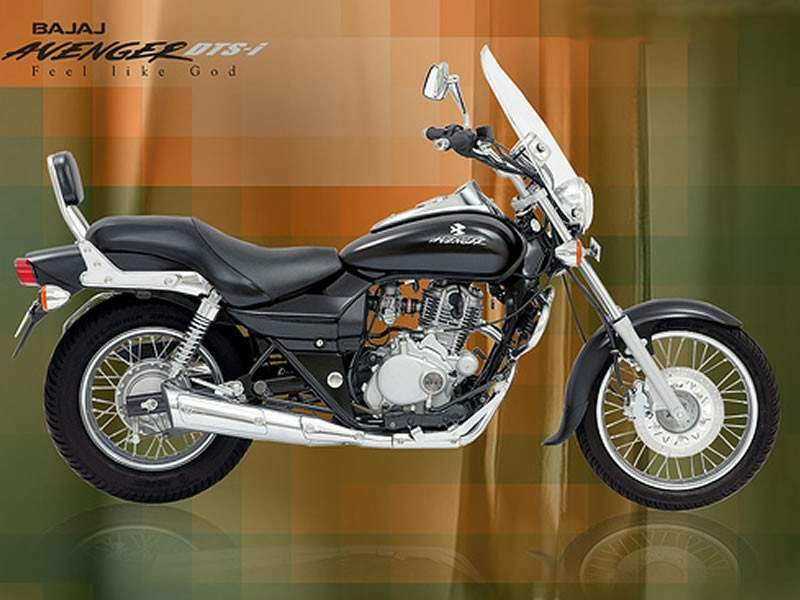 Bajaj Avenger 180cc DTS-I is one of the highly competitive two wheeler machine introduced into the cruiser bike segment after the Kawasaki Eliminator. Those who owned Kawasaki Eliminator said that the bike was underpowered with a 125cc engine. The Kawasaki Eliminator users were impressed by the finish of the bike, material quality and cruiser experience in the bike. Avenger has been upgraded to have a better riding position, comfort and it also is integrated with the cruiser qualities. Extra long wheelbase and laidback riding position are exclusive features of the bike. The bike has got the low designed cruiser having a chrome outlook. The Bajaj Avenger wheelbase is 1475 mm as compared to Bajaj Pulsar which has a 1,330 mm wheelbase. The front wheel of Avenger is set out and the stroke front fork is longest of 140 mm that helps the wheelbase to be fitted into it. The Kerb weight of Avenger comes around 154 Kg. The bike is extremely stylish and is a high speed machine. The engine of the bike is four – stroke and the displacement is 180cc.The bike power reaches 16.5 bhp / 12.15 kW @ 8000 rpm maximum and torque is high at 15.22.The front suspension of the bike is telescopic and it is one of the longest in its kind. The rear suspension has the triple rate spring that is 5-way adjustable. The rear suspension is also equipped with Hydraulic Shock Absorbers. The ExausTEC technology is integrated to the bike to have comfortable exhaust facility in low and high revolutions and for an easy low-end torque. The riders of the bike can experience the fast carburetion and light throttle feel. The low-end and mid range groan sound of the bike can be heard on carburetion. The bike is extremely comfortable. It has wide saddler seat, brackets designed for pillion and a low saddle height. The forward foot riding position makes the rider and also the one sitting on the back seat to get high comfort. The 60/ 55 watt halogen headlamp are helpful in a night journey. The bike seat has lowest centre of gravity. The bike is equipped for longer travel of 140mm long front telescopic suspension. The front brake is hydraulically operated and is operated by 260mm disc brake. The rear brake is 130mm drum. The carburetor gives instant response with a light feel of choking. 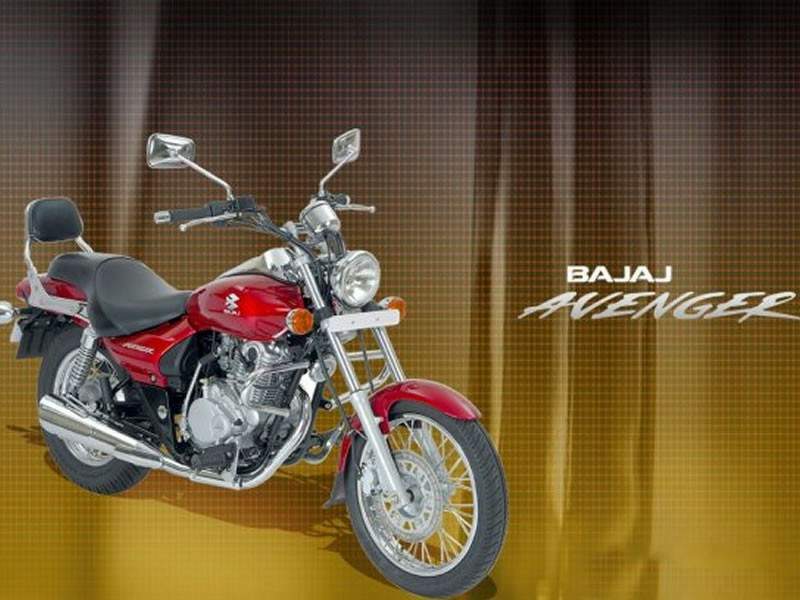 Bajaj Avenger gives the high performance and comfort riding to the biker. The bike owners having Eliminator wished to have a bike having more power engine and the Bajaj Avenger 180cc DTS-I was introduced by the Bajaj engineers into the market with a bigger engine and high style to meet the demand of bikers. Completely re-tuned legendary DTS-i technology especially designed for India’s first cruiser. Average given by the bike is good. Stylish and cruise look are impressive. Mileage given by the bike is good. Gravity problem can be created in case the pillion is used for riding.